BOAT OWNER'S NOTES. 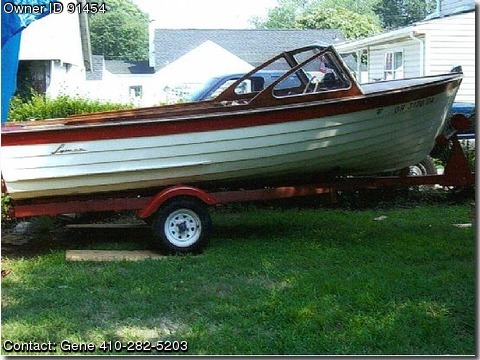 1963 Classic Wooden Power LYMAN Runabout in excellent condition. It has an all white hull with a beautiful varnished interior and decking. Included is the original canvas canopy and original seat cushions. The boat is powered by a 60hp Evinrude outboard with electric start. Also included in the package is a single axle trailer, fuel tank, battery, anchor, oars, running lights, 2 life jackets and many extras.